Vice presidential aspirant Sen. Ferdinand “Bongbong” Marcos Jr. on Thursday said a public apology for martial law that his critics are demanding from him will not put closure to that dark part of the country’s history. “Ako, tanggap ko. Lahat naman ng administrasyon may nasaktan, may naiwanan. Ganun din siguro sa administrasyon ng tatay ko. 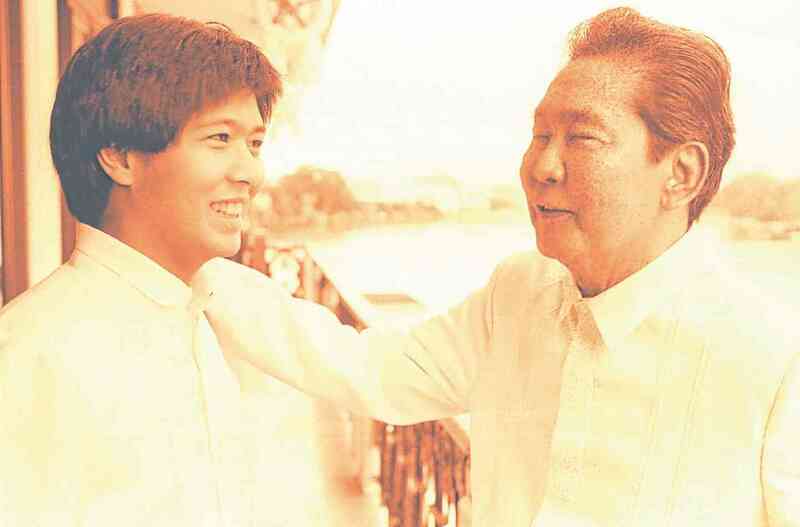 Pero siyempre nangyari ‘yan sa administrasyon ng tatay ko,” Marcos said, referring to the late dictator, former President Ferdinand Marcos Sr., on dzBB’s Ikaw Na Ba?… The Vice Presidential Interview. The older Marcos declared martial law in 1972 during which many activists were allegedly killed or abducted, while several others were allegedly raped or abused. Marcos was reacting to the statement of a group of martial law victims, who has recently launched what they dubbed as the “Campaign Against the Return of the Marcoses to Malacañang” or CARMMA. The group said their mass actions “will hound Marcos wherever he goes” as they will try to maximize their “exposure” on the tri-media (print, radio and television) as well as on the new media or the internet. The group further demanded that the Marcos family let go of their alleged ill-gotten wealth. Marcos said that while he respects the views of some groups that martial law should be held against him, he will not give in to their request for him to apologize. “Kung meron akong sinaktan, mag-a-apologize ako… Pero ‘yung lahat ng pagkakamali sa past administration hindi ko naman yata obligasyon na mag-apologize para sa mga nakaraang administrasyon,”Marcos said. He maintained that apologizing for martial law will not put closure to the alleged human rights abuses committed during that era. “’Yung closure na sinasabi nila, wala sa kamay ko ‘yun. It’s not in my hands,” Marcos said. Asked bluntly by radio host Mike Enriquez what will put closure to the wounds of martial law, Marcos replied that it is up to the judiciary. “Nasa kamay ‘yan ng korte, nasa proseso,” Marcos said.